Ever had a neopolitan milkshake from McDonald’s? • Wendy’s - The Grand Slam. If the single, double, or triple hamburgers at Wendy’s just don’t cut it for you, just go all out and order the massive four-patty grand slam. 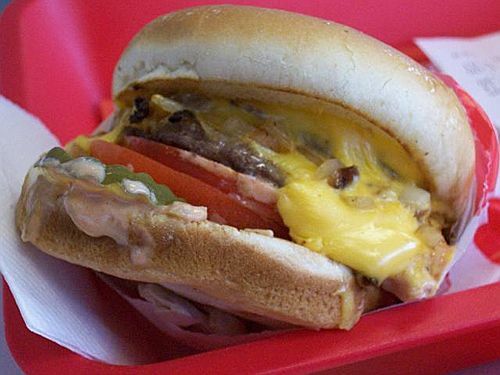 Also known as the Classic Quadruple or The Meat Cube. • McDonald’s - Fries with Big Mac Sauce. Lots of people put fries right on the burger, which I agree tastes delicious. But this technique allows you to switch things up a bit and put some of your burger’s best feature right on your fries. Try to ignore protests from your arteries, and just ask for that a little cup of Big Mac Sauce on the side for dipping. • Starbucks - The Red Eye. A cup of coffee with a shot of espresso dumped in. Now, I’m not a huge coffee drinker, but apparently you can even upgrade this to two shots which is called a Black Eye. I presume upgrading to three shots is called a Jumpy, Unblinking Eye. • Most Fish & Chip places - Batter Bits. I knew a girl who was all over these. She’d lean in and guiltily ask in a hushed whisper and the guy behind the counter would nod slowly and hand over a wet, greasy paper bag full of all the batter drippings that fell into the oil by accident. Yeah, this is the bottom of the barrel of off-the-menu stylings. It ain’t always pretty out there. • Subway - The Pizza Sub. Apparently this one’s like sasquatch. There are scattered sightings everywhere and a few grainy videos that may have been tampered with. Another favorite from Subway, though not technically a menu item, is simply ‘the old cut’, where they dig a trench in your bread instead of just slicing it, leading to better cold cut and veggie distribution. Also known for causing The Wing Effect, where your bologna hangs out the sides of your sandwich for some tasty pre-nibbles. • McDonald’s - Big Mac with Quarter Pounder patties. One last McDonald’s fixture — the ol’ bun-heavy Big Mac surgically altered to become a meat-heavy Big Mac with Quarter Pounder patties instead. Now you’re much less likely to get that dreaded All-Bun first bite. • Starbucks - The Short Cup. 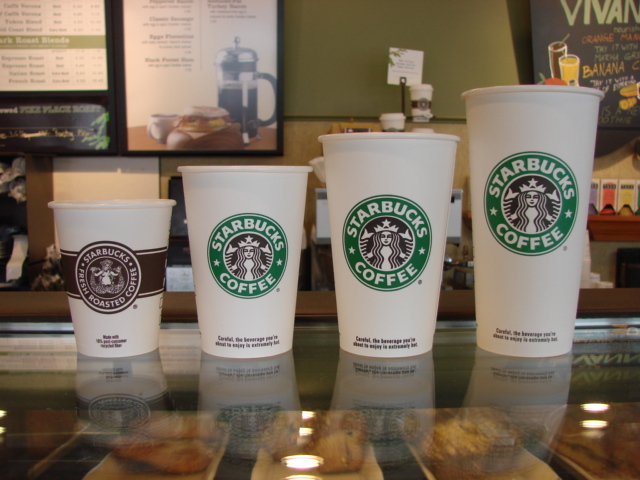 Even though the smallest size on the Starbucks menu is a ‘Tall’, they do offer a secret ‘Short’ size behind the counter. Perfect for that between-coffee-breaks coffee. Now, I’m only one man, so I’m sure there are hundreds of great off-the-menu gems that I’ve never heard of or know about. But that’s the beauty! There are all these little surprises just waiting to be discovered. What possible fast-food mouth love will we discover next? Ordering off the menu at fast food restaurants is a great deal. Maybe you’re the loyal customer looking for that new taste. Maybe you have strict dietary restrictions so it’s either off-the-menu or no-menu-at-all. Or maybe you’re just a grumpy guy who makes flippant off-the-menu requests with a deep scowl and a foot-stomp. But whatever the case, whatever your background, whatever your taste, I think we can all agree that it sure is nice getting a little something special for lunch now and then.